← Your PC’s hard drive – Is it wearing out? 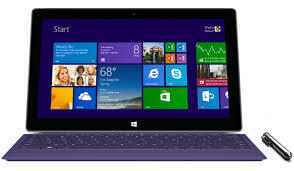 You know that Windows 8 uses a Start screen (as shown in the picture above) – instead of the Start menu. Windows 8 uses a new type of application called ‘Metro apps’ which use the full screen and were designed for touchscreens (as was the Start screen). However, many prefer to use the original applications such as Windows Media Player and Windows Photo Viewer – this means changing the ‘file associations’ which can be fiddly – so a step-by-step article on how to do this will appear very soon on this blog. Posted on May 13, 2015, in Learning Zone and tagged 8, dvd, new, pdf, start, start menu, start screen, version, Vista, vlan, windows, Windows 7, Windows XP. Bookmark the permalink. Leave a comment.